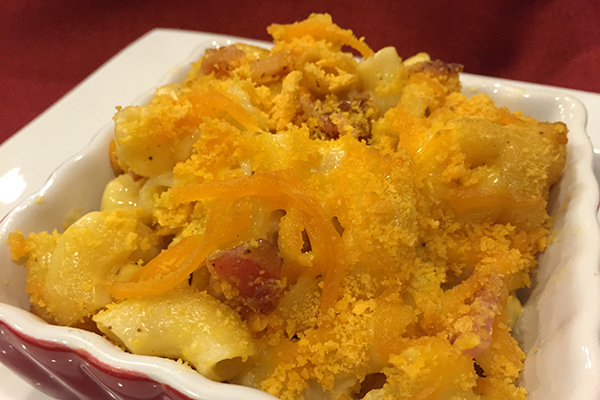 Mac & Cheese an American dish that brings back childhood memories to all adults. 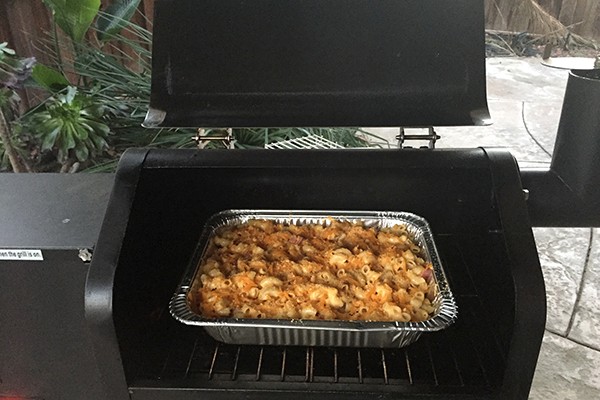 We have a small twist with this recipe, beyond the rich cheesiness, we’re going to add bacon and some fruit wood smoke. 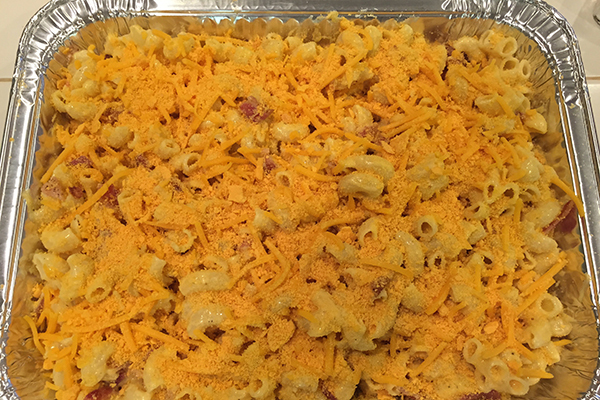 Step 1- Cook 16oz of your favorite pasta according to directions on box ( we used large macaroni), then set aside. 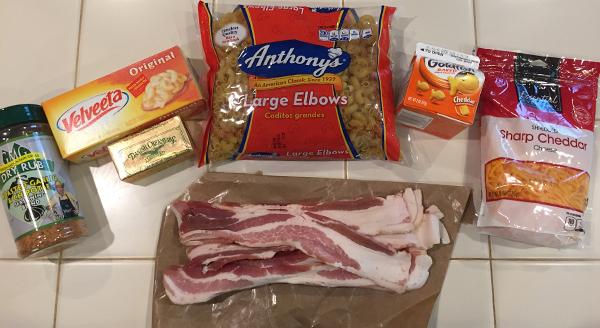 Step 2- In a large skillet cook 5 slices of bacon, when done set bacon aside and remove half of the bacon grease. Step 3- Add 2 tablespoons of butter to the remaining bacon grease in the skillet and melt over low heat. Next add 2 tablespoons of flour and stir over low heat until golden and no lumps remain, making a roux. Step 4- Add 1 cup of milk to the roux and 8oz of Velvetta cheese (cubed into 1/2 in pieces) continue to stir until cheese is fully melted. Next add in 1 tsp of GMG Chipotle Garlic Rub and 1 cup of sharp cheddar cheese. 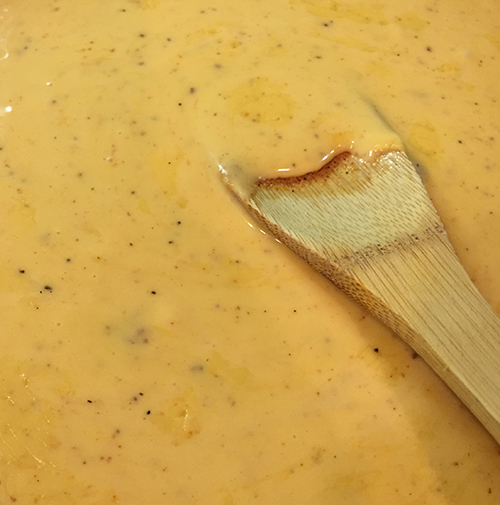 Continue to stir until cheddar is melted.